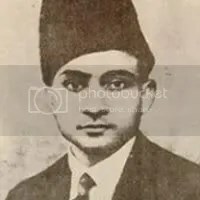 Moujuddin Khan (1875-1926), known as the ’emperor’ of thumri and dadra, was born at Nalagarh in Punjab, and died in Benares. It is said of Moujuddin Khan that India has not produced another thumri singer like him. Nobody knew his gharana, people used to whisper he had no training, but when he would start a thumri, his superb rendering would sway the entire audience through his singing of a single line. He learnt music initially from his father Ghulam Hussain Khan, then from Bade Dunni Khan, Rahimat Khan and Bhaiya Ganpat Rao. He did not like school and spent more time over music. In 1901 the family settled in Benares, where his father was given a position in the Durbar. Moujuddin Khan was proficient in pure and light classical music and began to sing in concerts from the age of 15. At a very young age he became addicted to wine and women, and he was also fond of expensive clothes and perfumes. Once Bhaiya Ganpat Rao attended his concert and liked his singing. He persuaded and helped him to settle in Calcutta. Moujuddin Khan was then 25 years old. 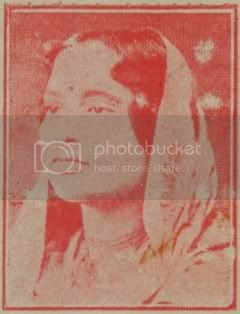 Calcutta, at that time, was famous for great singers like Gauhar Jan, Malka Jan, Badi Moti Bai and many others. Soon he joined this group and began to teach them thumri, dadra, hori, kajri, bhajan etc. He was involved in a one-sided and unsuccessful affair with Malka Jan, who in turn was in love with the master of the Agra gharana, Ustad Faiyaz Khan. It is believed that around 1907, Gauhar Jan brought him to the studios of the Gramophone Company for cutting records. This was to help him out financially. He cut nine records for the Company and a couple of records for the Nicole Record Company. At the end of some songs, listeners from the studio audience can be heard shouting ‘Wah Wah Moujuddin, Wah!‘ His powerful fast taans and delicate thumris made him famous in the music circles. His voice was on the high-pitched side and some found it fairly feminine in timbre. Around 1920, his father and Bhaiya Ganpat Rao passed away. There was no family life to occupy him, and as a result he became more and more addicted to alcohol and ultimately died in 1926. What is left today is the music preserved in over 10 gramophone records and a lone photograph that shows him wearing a fur cap. Though little is known about Moujuddin’s family, it is a well-known fact that Jaddan Bai of Allahabad and Badi Moti Bai of Benares were his prominent disciples. Zohra Bai (1868-1913) of the Agra Gharana, or Zohra Bai Agrewali as she came to be known as, was easily the best female singer at the turn of the 19th century. Along with Gauhar Jan, she marks the dying phase of the courtesan singing tradition in Indian classical music. She had her talim from Ustad Sher Khan, Ustad Kallan Khan and Mehboob Khan, the great composers of Khayals and Thumris. Known equally for Khayal as well as lighter varieties of classical music, she learnt Thumri and Ghazals from Ahmad Khan of Dacca. Her many records going back to the first 15 years of the last century have not yet been dated, unlike records of some of her contemporaries. It is said that Faiyaz Khan, the greatest Ustad of the Agra Gharana, was influenced by Zohra Bai’s style of singing. The famed Bade Ghulam Ali Khan of the Patiala Kasur Gharana also held her in very high esteem. A contemporary of the legendary Gauhar Jan, prima donna of early recordings of Indian music, Indubala (more famously known as Miss Indubala) was the daughter of Rajbala, a circus trapeze artiste. Rajbala married Motilal Bose, owner of The Great Bengal Circus, also known as Bose’s Circus or Professor Bose’s Circus. The marriage was not really accepted by Motilal’s family as he was already married to another woman. Indubala was born in November, 1899 at Amritsar, where the circus party had gone for performance. The initial plan was to train Indubala as a nurse and she was admitted as a trainee in a hospital in the Pataldanga locality of Calcutta. Indubala did not take fancy to the job and ran away from the hospital, much to the disappointment of her mother, who never wanted her only daughter to be forced into a life of indignity. After this incident Indubala’s musical training started. This also marked the entry of Indubala into the red light world. 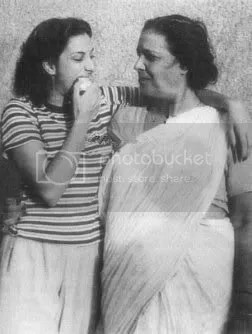 Amongst her trainers was Gauhar Jan. Apart from music, Indubala also learned etiquette from the elder artiste and developed a close friendship with her. This association provided Indubala with valuable musical knowledge and experience. 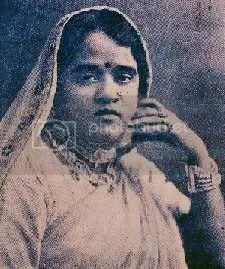 In 1916, Indubala recorded her first songs. In the beginning she did not take any money from the Gramophone Company and as such was credited in the records as Miss Indubala (Amateur). She was not the first amateur artiste of the company but enjoyed the privilege of announcing her name at the end of each song saying ‘My name is Indubala’. The amateur status continued for a fairly long period. Later on she received Rs. 200 per record and also received a royalty of 5 per cent over the sales. To Indubala also goes the credit of being the first Bengali artiste to record Hindustani songs for the Gramophone Company. For the All India Radio, Indubala first sang on the second day of the radio’s broadcasting in 1927 in Calcutta and went on singing in this medium for nearly fifty years. Indubala sang not only from Calcutta but from several other stations by special invitation from all over India. Apart from discs and the radio, Indubala was well established by the 1930s in cultural functions all over India. In 1936 she was appointed court musician to the Maharaja of Mysore. She received a monthly salary of Rs. 250 that continued till the 1960s. In all, Indubala had recorded some 280 songs, including about 240 classical songs, the rest being from films. The songs posted below are very rarely found anywhere else. You may easily term these as my find of the year. The government of India never considered her name for any award. The Sangeet Natak Academy however honored her with a lifetime achievement award in 1975. In personal life, Indubala was most humble and polite but bold in her behavior and was never ashamed to admit or discuss her origin. Even when established as a major singing artiste with an all India fame, she refused to move out to a respectable place leaving her residence in Rambagan, a notorious red light area of Calcutta. Her end came on the 30th day of November, 1984 after a prolonged illness. Are Rahul Gandhi, scion of the Nehru/Gandhi family, and actor Sanjay Dutt, son of film stars of yesteryear, Nargis and Sunil Dutt, related to each other? Yes, if you believe IMDB, an Internet Movie Database site, owned by Amazon.com, a Fortune 500 company. Jaddan Bai, mother of Nargis, was born in Benares, around the year 1900. She was rumoured to be the illegitimate daughter of Motilal Nehru and famous courtesan Daleep Bai. Her mother (before she became a courtesan) hailed from a Brahmin family but was abducted by a group of trained tawaifs. Jaddan Bai was born a Hindu, picked from a mela of dancing girls when she was a child and groomed a tawaif. Though Jaddan was born in Benares, she was brought up in Allahabad. 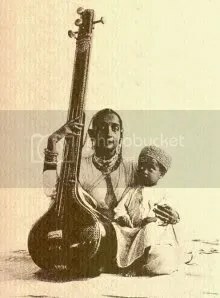 Jaddan Bai, became a disciple of noted Thumri singer Ustad Moijuddin Khan and the equally noted Ustad Barkat Ali Khan, younger brother of Ustad Bade Ghulam Ali Khan. Jaddan Bai became a very famous singer, composer, actress and filmmaker and was a good friend of Mehboob Khan who later became Nargis’s mentor. Jaddan Bai had three children from three different men. The story of the union of Jaddan and Mohanbabu is very interesting. Uttamchand Mohanchand belonged to an orthodox Mohyal Brahmin family of Rawalpindi. He was to go to England to study medicine but heard the voice of Jaddan Bai and fell in love with her. His family refused to accept Jaddan Bai as their daughter-in-law but that did not deter him from marrying her and dedicating his entire life to her. Nargis was named Fatima A Rashid by her father but she later adopted the name Nargis for Hindi movies. Jaddan Bai’s two sons from different men, Akthar Hussain and Anwar Hussain became film directors and actors. Jaddan Bai cast Nargis in Talashe Haq (1935), becoming the first woman composer of Indian cinema. In 1936, Jaddan Bai established Sangeet Films, producing films featuring her daughter, Nargis, as a child artiste. However, failing family fortunes forced Jaddan Bai to cast her daughter in leading roles from the tender age of fourteen and Nargis became the sole bread-earner for the family. 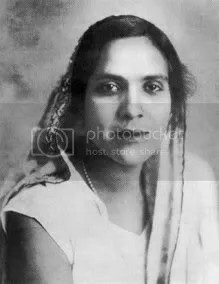 Jaddan Bai died on 8th April, 1949. Disclaimer : The information on Jaddan Bai was collected from various credible and not-so-credible sources on the internet. The author of this blog does not in anyway mean to hurt the sentiments of anyone alive or disregard the souls of the dead.